As professional women, we may face difficulties navigating different jobs, companies, and industries while we continue to grow and to level the playing field. 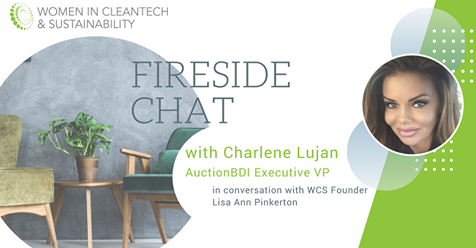 Join us for an inspiring conversation with Executive Vice President Charlene Lujan of Auction BDI to hear about her experience growing her career and moving into sustainability, what has helped her to succeed, and what she looks for when seeking new talent. This event will be held Thursday, May 10, from 5:30pm – 8:30pm in San Francisco, California. Come ready to be inspired, to learn, and to ask questions that will help you better navigate and grow as a woman in the green economy. You will also understand what recruiters and hiring managers within companies are truly looking for and what will help you land a new opportunity, job, or career! After spending a few years in the VAR space, Charlene decided to utilize her experience in the EWaste/ Surplus/ Resale industry. 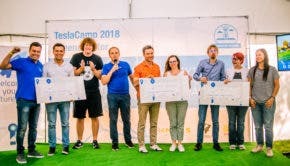 She found it an amazing space to be as she, through AuctionBDI, provides a solution to an ongoing problem in technology: eWaste. OEMs, Fortune 500 and Enterprise companies often do not have full visibility on how their assets are disposed of, or if they can be reused or re-saled in a timely manner before they depreciate. A lot of e-waste and resale electronics usually sit in storage or warehouses and depreciate over time. This opens the door to data security issues and customers being unsure of how to handle their e-waste. AuctionBDI complies with government-regulated certifications to track material from cradle to grave (R2 & ISO) with a DRP system. AuctionBDI ensures all intellectual information is completely wiped to DoD standards or any software requirements. Charlene does not want to have all products at end-of-life shipped to developing countries or landfill. Charlene’s passion to reduce-reuse-recycle creates opportunities to do good all around: for clients, people and the environment. Women in Cleantech & Sustainability Members get 30% off events. Become a member here to say “YES!” to the growth of women in the green economy!